Welcome to The Friday Face-Off, a weekly meme created by Books by Proxy! Each Friday, we will pit cover against cover while also taking the opportunity to showcase gorgeous artwork and feature some of our favorite book covers. If you want to join the fun, simply choose a book each Friday that fits that week’s predetermined theme, post and compare two or more different covers available for that book, then name your favorite. A list of future weeks’ themes are available at Lynn’s Book Blog. 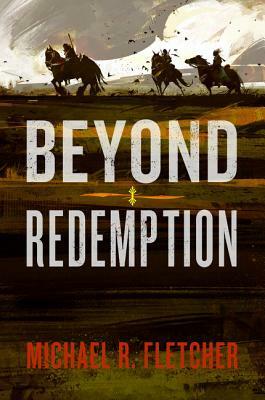 I actually had several options when it came to books this week, and went back and forth on them until I finally decided to settle with Beyond Redemption because of what an awesome book it is. Konig, a twisted madman, is bent on creating a god, and a young and innocent little boy named Morgen is being groomed for the honor, to be sacrificed once it is determined he is ready to Ascend. 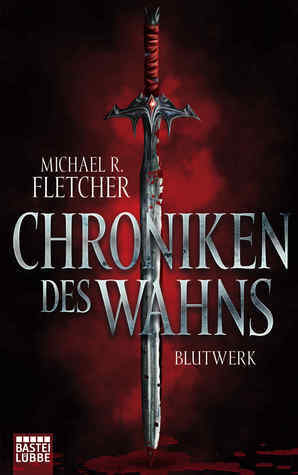 However, before his Ascension could come to pass, Morgen is stolen away by three wretched thieves: Bedeckt the old cantankerous warrior, Stehlen the bloodthirsty kleptomaniac woman, and Wichtig the pompous egomaniacal sociopath who fancies himself the Greatest Swordsman in the World. Konig is left with no choice but to send his dastardly henchmen after the trio of brazen miscreants, hoping to salvage his plans before pure, innocent Morgen is forever corrupted by his kidnappers. Anything can happen in this wild, dark tale of cat and mouse, but one thing is guaranteed – there’ll be a body count numbering in the hundreds and a whole lot more blood and guts spilled before this is done. And with that, let’s look at the covers! There are fewer choices to choose from this week, but that’s okay because I already have a clear favorite. HELLO, it’s Richard Anderson, baby! The artist’s gritty style is perfect for the tone of this grimdark fantasy, and you can also easily make out the identities of the riders if you’ve read the book. For more insight on what an amazing cover this is, I would highly recommend checking out the following blog post by author Michael R. Fletcher on the making of this beautiful piece of art. It’s a fascinating read, and highlights again why I love this cover so much. But what do you think? Which one is your favorite? Your choice is definitely the best I think – I nearly chose this book because it’s actually sat on the shelf opposite me and I can see a rider on the spine of the book – but, ultimately I wanted to choose a book that I’ve read and, although I can’t believe it I still haven’t read this one. Doh. That’s my favorite too- I like that one a lot! The others aren’t bad though either. Nice pick. Yeah, not too many choices this week, but they’re all pretty good. Maybe that’s another reason why I love it so much. I don’t read too many westerns as a genre, but I love “western settings”. Ah, the wildness and sheer potential of the great big frontier! Yep, that’s my favorite too. 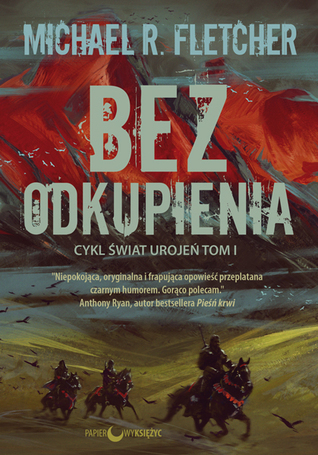 The Polish edition wasn’t bad but not having any familiarity with the book, I’m not sure what the red thing is under the lettering. Yeah, the red is so distracting. I don’t like it either. I’m not a great fan of any of the covers but that is the better one. It definitely stands out above the others. I like that cover as well. It is the type of cover that I would see in a book store and it would make me curious to pick it up and read the back cover. Have a great weekend.